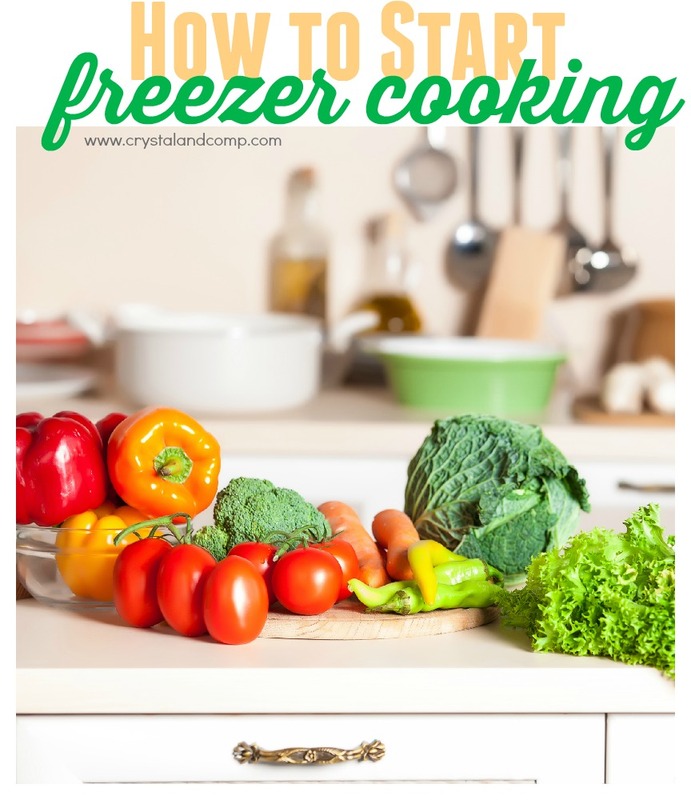 Are you on a mission to learn how to start freezer cooking? This is an excellent way to bring success to your meal planning journey! Make ahead freezer meals are a great way to stock your freezer and get a bulk of the prepping and meal planning done in one sitting. Here is a delicious recipe to add to your freezer meal cooking rotation. It is simple to pull together, budget friendly and easy to cook. This is what I lovingly refer to as a dump and go recipe. Just toss it in the slow cooker and come back hours later to a delicious home cooked meal. Remember most meals can be converted to grill, stove top, slow cooker or oven. Wonder how to get started with slow cooking? Here is an awesome resources with over 20 resources to get you started! Yesterday one of my sister-in-laws and I spend the day pulling together 10 freezer meals each. 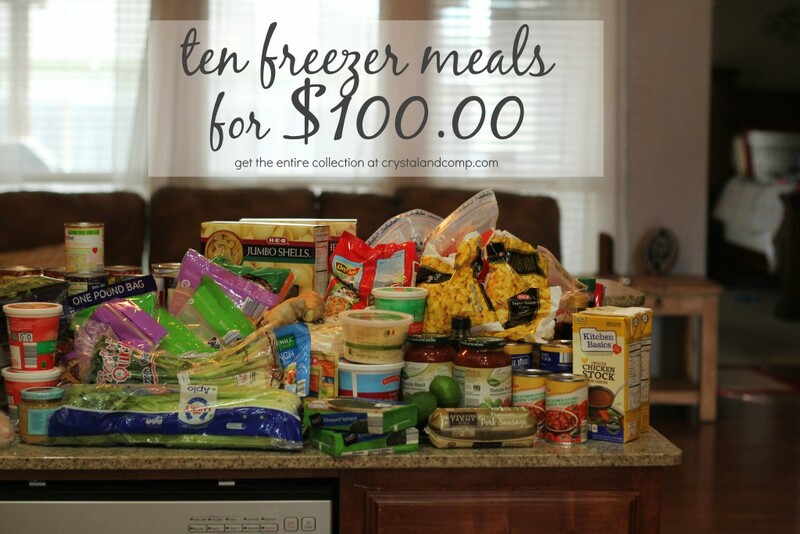 We each spent right under $100 to create these meals. We did the majority of our shopping at Aldi, we then ran into HEB to buy five final things Aldi did not have (fresh tortillas, disposable pans, frozen corn, jumbo pasta shells). Before we went we shopped our own pantries and freezers. I had some frozen chicken breasts in my freezer, we both had hamburger meat on hand because our families split an Angus grass fed cow months ago, she has some chicken broth on hand, etc. These things would have added about $20 extra dollars to our budget. I highly encourage you to have a buddy when freezer cook. It will help with the planning, the assembly and it will help you stay accountable to your meal plan. 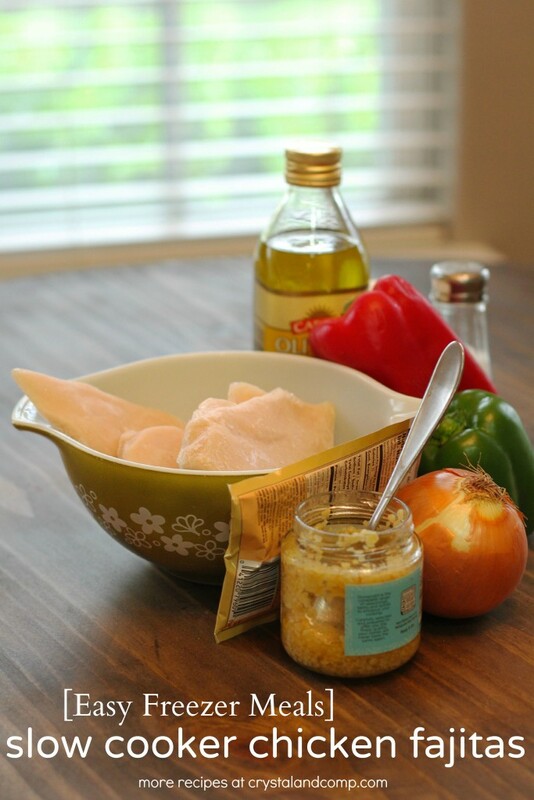 Here is what you will need to make the freezer Slow Cooker Chicken Fajitas for one family. This assembly serves 5-7 people. These are the fresh items you’ll want on hand when you’re ready to serve. First, label your freezer bag with a permanent marker. Personally, I think the easiest way to cut chicken breasts is when they are semi frozen. Frozen hard as a rock is almost impossible and thawed completely is slippery and hard to cut. Once sliced, set aside. Grab your freezer bag and add the peppers, onion, garlic and taco seasoning. Seal the bag and shake to coat and combine. And that is it. 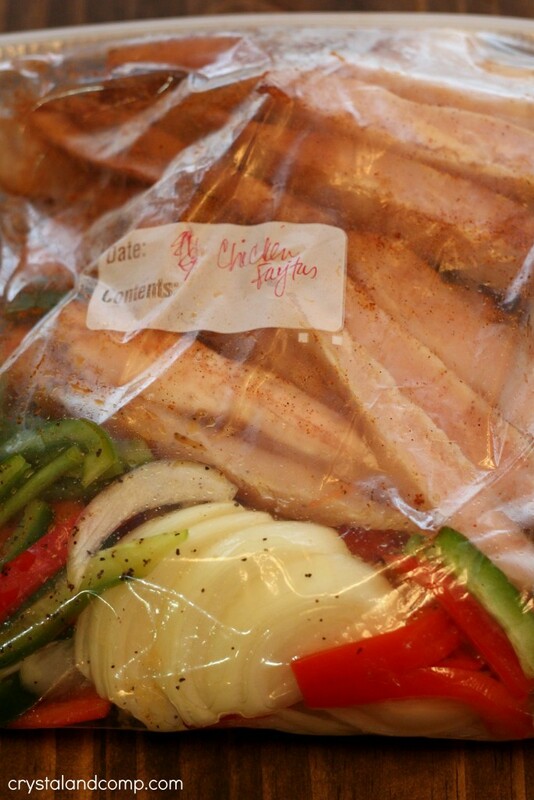 Place the bag flat in your freezer until ready to cook. When you’re ready to cook, defrost over night in the fridge and pop into the crockpot. Or, pop the contents of the bag into the slow cooker while frozen. I do this all the time with chicken! Cook on high for 6 hours. I love this crockpot because it switches to warm once the cook time is up. 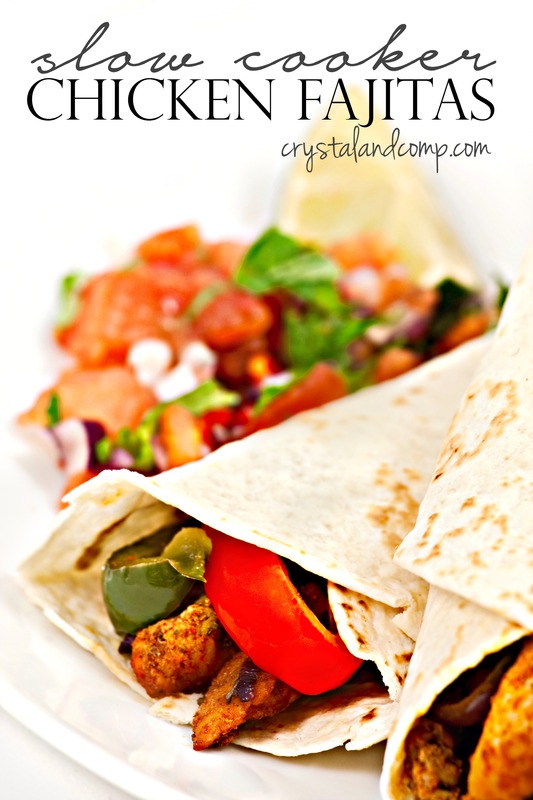 Here are some side ideas for the day you create these fajitas for dinner. Remember, when you’re cooking in the slow cooker, don’t take the lid off! Every time you take the lid off you add 20 minutes of cook time. Here is everything you need to know about using your slow cooker! Are You Scared Your Slow Cooker Will Burn the House Down? This will be a great recipe for a busy day and the flavors look awesome! Wishing you a very Merry Christmas and thanks so much for sharing your awesome post with us at Full Plate Thursday!